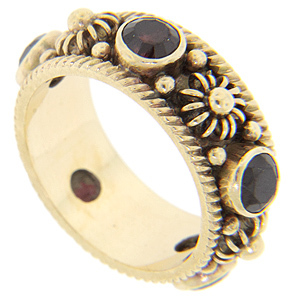 Faceted round garnets alternate with gold bead designs on this 14K yellow gold vintage wedding band. The wedding ring measures 7.9mm in width. Circa: 1950. Size: 6 1/2. Cannot be re-sized.